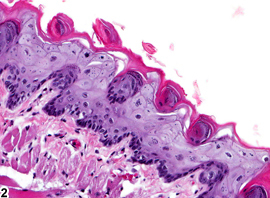 Tongue, Epithelium - Degeneration in a male F344/N rat from a chronic study. 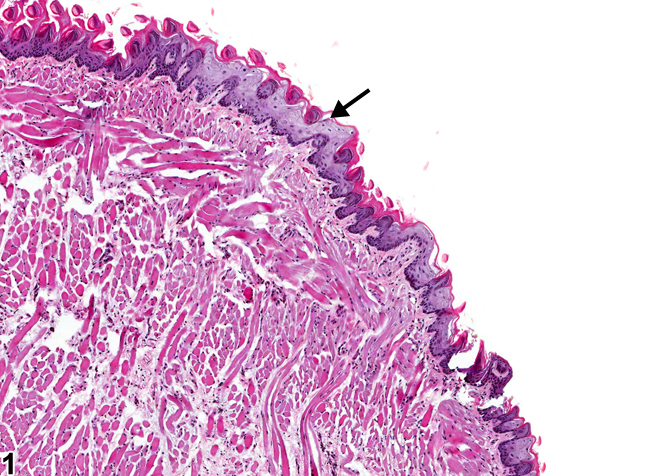 An area on the tongue has epithelial cells that are pale and swollen (arrow). 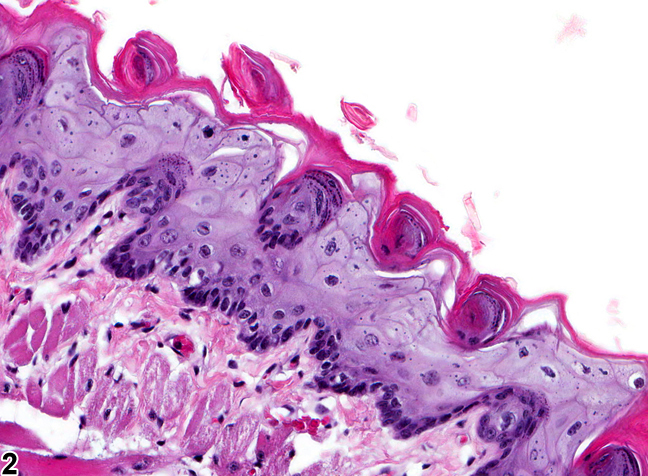 Tongue, Epithelium - Degeneration in a male F344/N rat from a chronic study (higher magnification of Figure 1). The degenerating epithelial cells are pale and swollen.